Today, Entertainment Weekly have confirmed that the menacing Sith Lord himself, Darth Vader, will be making his first on-screen re-appearance since Revenge of the Sith in their exclusive preview of 'Rogue One: A Star Wars Story'. 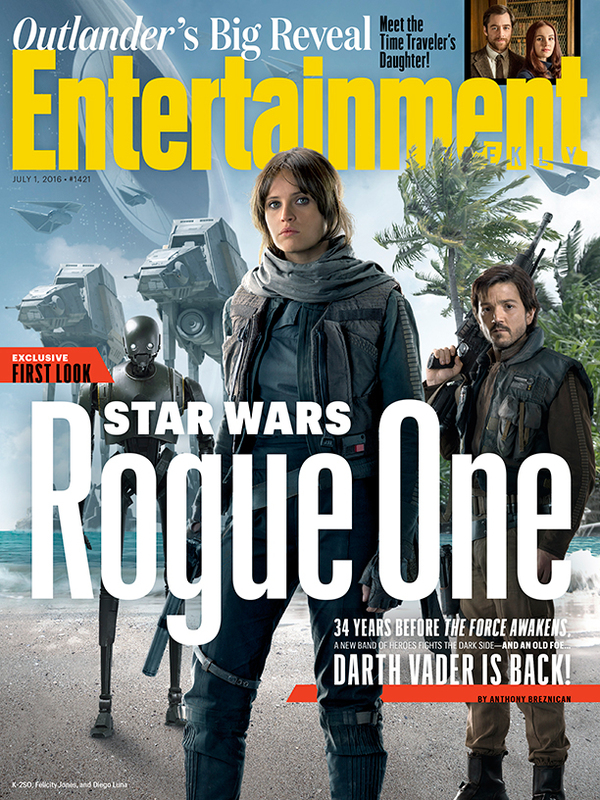 "In this week's issue of Entertainment Weekly, we bring you an inside look at 'Rogue One: A Star Wars Story, which explores just how the Rebellion came to possess the information that revealed the fatal flaw in the Empire's super weapon. It's a battlefield heist that fans have been imagining for nearly 40 years, described in the opening crawl of 1977's original 'Star Wars' with little details scattered throughout"
Official confirmation of Darth Vader's return to the big screen. New information about Jyn Erso and her father, played by Mads Mikkelsen. Full details of the principal 'Rebel' characters, who are united in their efforts to topple the Empire: Diego Luna, Jiang Wen, Donnie Yen, Riz Ahmed, Forest Witaker and Alan Tudyk (who plays a performance-capture droid). Ben Mendelsohn's view on the 'Imperial Ranks' and his character's own ambitions, notably the character's eagerness to win favour of the Emperor and avoid the wrath of Darth Vader. The filmmakers give clearer revelations about what the reshoots are adding to the plot, as the film nears its cinematic release. EW have hit on quite the exclusive here. Sufficed to say, that many Star Wars fans will be eager to take a read of the Star Wars-centric issue of Entertainment Weekly this week. The next issue is set to hit shelves this Friday, June 24th, 2016.